So, you want to soundproof a wall? When researching information on wall soundproofing you are likely confronted by a confusing array of acoustic materials and soundproof panels with wildly varying performance statistics. Below we try to make the process very simple. If you would prefer you can start with our beginners wall soundproofing guide. Otherwise the process below will hopefully guide you through in a logical way, a process of soundproofing a room from unwanted external noise. When it comes to soundproofing walls the choices fall into two broad categories. Solutions that are stick on and therefore slim line solutions and those that involve creating a stud structure. In performance terms the latter provide greater protection in general but at the loss of more room space. You can either jump straight into the wall soundproofing solutions by looking at "Our Solutions" on the right hand side of this page, or we can help you choose which type is most suitable for you by following the steps below. Decide how much room space you can afford to lose. The stick on solutions are around 50mm (2 inches) thick. In general they are a little easier to install, very much a DIY job as they involve cutting and gluing skills. The independent walls involve the erection of a stud structure which can be done in wood or metal, while being more labour intensive and more space consuming they do offer better acoustic protection. 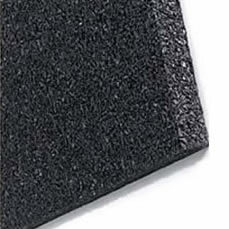 Each wall soundproofing solution page we offer also has a comparison table associated with it. This is designed to show each solution compares in terms of performance, labour intensity,cost and amount of space lost when using that solution. Click here to go to a comparison table of all the solutions we offer. Remember the table is interactive and will lead you to a more detailed description of each solution. Each of our wall soundproofing solutions has a solution calculator associated with it, often with upgrade options available. These calculators are designed to allow you to work out the cost of the materials delivered direct to your door. Choose the calculator for the solution you are interested in from the drop down menu. This top of the range solution combines award winning Genie clip technology with an independent wall system to give a very high degree of soundproofing protection, while still keeping the overall solution relatively slim line. This solution can easily be undertaken by a competent DIyer or any builder or joiner. Independent Stud Wall - 100mm stud. Stud wall solution - 100mm stud.